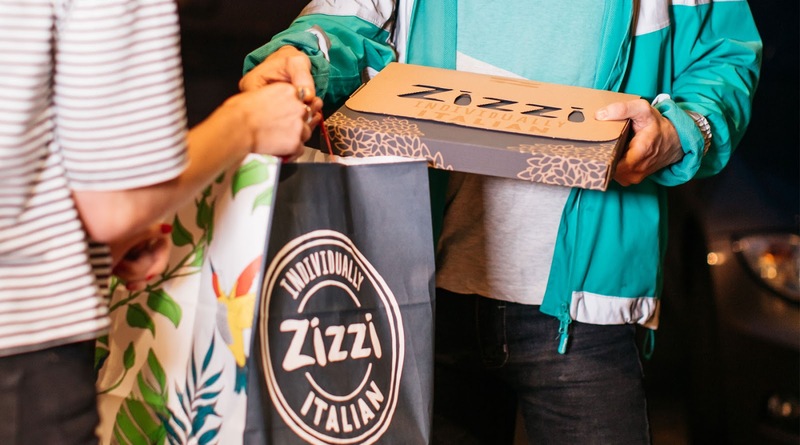 “Zizzi’s here!” Pearlfisher takes authentic Italian restaurant chain from high street icon to champion of ‘the social night in’ with a revolutionary new takeaway packaging system. Neither prescriptively Italian nor a fickle follower of the latest food trends, Zizzi – a brand defined by dynamism, inclusivity and charisma – has established itself as an icon of the high street food scene since 1999. In today’s rapidly evolving landscape of exciting food experiences, however, the restaurant chain felt the need to reassert its adaptive and innovative approach. 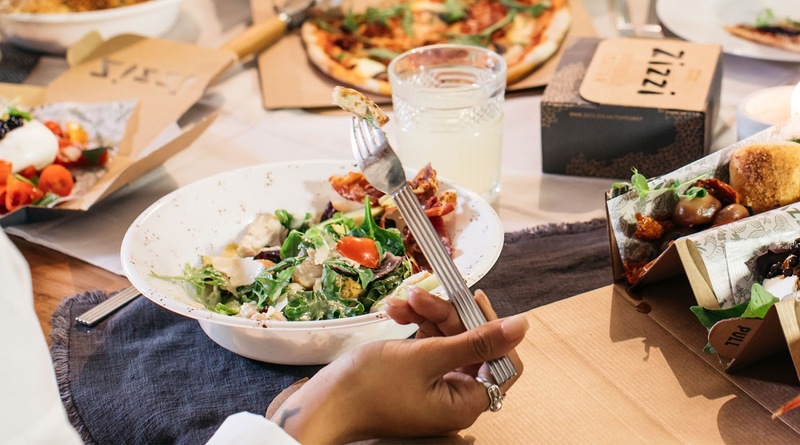 Looking to reinforce its presence by capitalising on the consumer desire for convenience, Zizzi turned to Pearlfisher to develop and advance its takeaway offering. Following a deep-dive exploration into the future of food and drink, Pearlfisher’s Strategy team identified an opportunity not only to position Zizzi as a leader in the takeaway space, but to reimagine the possibility of a takeaway experience entirely. “Zizzi is perfectly poised to own the ‘social night in,’” said Pearlfisher’s Senior Brand Strategist, Kristoffer Fink Parup. “Each restaurant has a uniquely eclectic personality of its own but what unites them is their facilitation of a good time. Pearlfisher’s 3D, Graphic and Realisation teams faced a number of challenges in bringing this vision to life, from ensuring the heat-retention and structural integrity of Zizzi’s dishes to respecting storage, workflow and delivery processes. The result – a revolutionary family of pack formats that live both individually and together – have been designed to evoke the feeling of the ‘Zizzi table,’ mirroring the abundance and diversity of a restaurant table in one’s very own dining room. The complete set of elements designed by Pearlfisher includes: a re-formulated ‘classics’ pizza box; a deep ‘rustica’ pizza box; a side box; a tub; a plate; a bread bag; a retail bag; and a sticker set. Mike Beauchamp, Pearlfisher’s Associate Creative Director for 3D and Experiential, said, “We designed each element of Zizzi’s takeaway packaging with both modularity and multiple usage in mind: pizza boxes become sharing platters and side containers fold out into mini-tables, but everything fits together perfectly to conserve space in delivery. 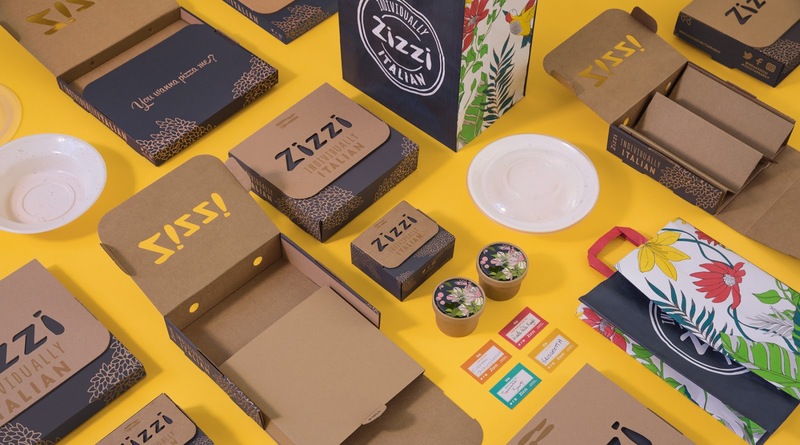 The new Zizzi packaging structures is being rolled out nationwide from September to December 2017. Pearlfisher’s redesign of the pizza box is not a reinvention of the wheel for reinvention’s sake, but an improvement driven by the consumer and brand experience. 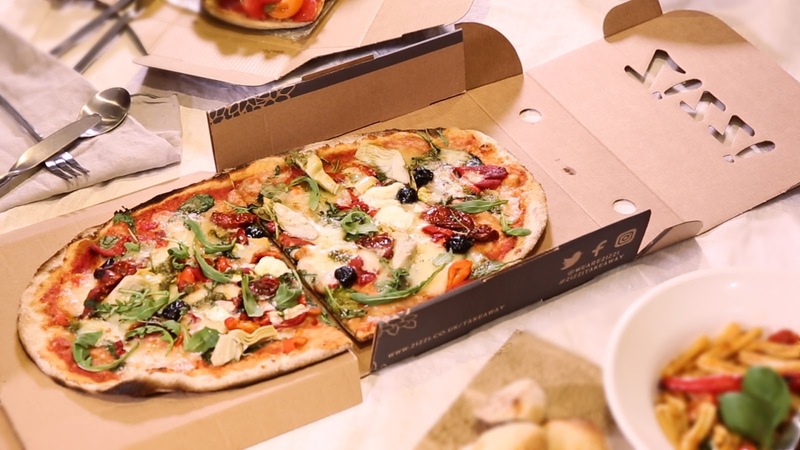 The ‘deep box’ is able to deliver Zizzi's signature Rustica pizza as its served in restaurant, overcoming its size and the fact has needed to be halved for delivery. 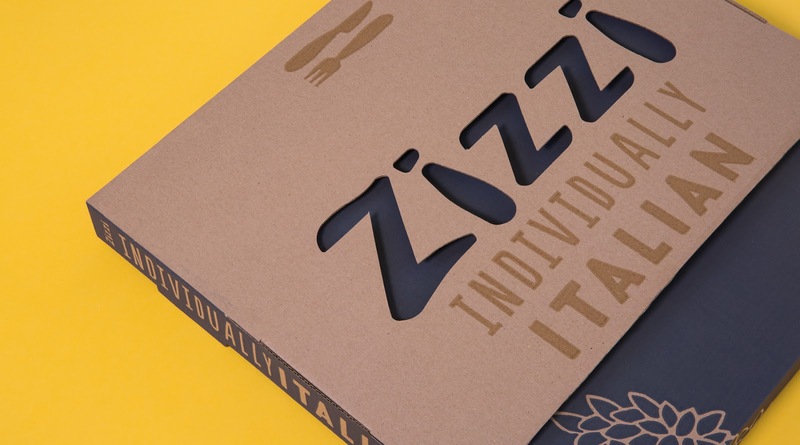 ‘Double-deckered’, and with dividers to separate out sections, the box also becomes both a sharing platter and kit for kids, as well as a strong reinforcement of the brand with a die-cut ‘Zizzi’ logo illuminated in printed colour when closed. 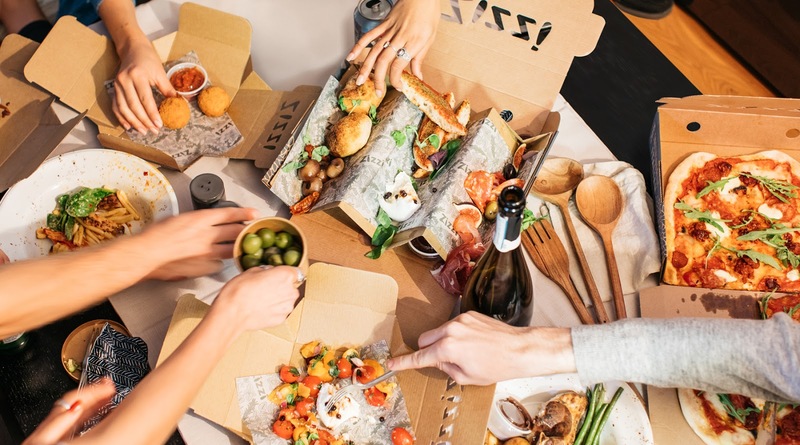 Needing to find a way to incorporate starters and sharers – key sales drivers for Zizzi – onto the takeaway menu, Pearlfisher designed a single mini-box that can house all starters, sharers and desserts. Both of these boxes fold out completely flat, which encourages shareability and facilitates recyclability. The plate – which is microwavable, freezeable, recyclable and dishwasher-proof – is designed to mimic the crockery used in the Zizzi restaurants. A generous rim ensures that every dish is impeccably presented, while the speck print, different on each plate, emphasises the individuality at Zizzi’s core. A transparent lid holds cleverly designed inserts in place to ensure that different elements of a dish (sauces, proteins, greens, etc.) remain separate and intact until they reach the consumer. To bring the charisma of the Zizzi brand graphically to life, Pearlfisher re- appropriated each restaurant location’s existing visual assets for a custom retail bag, which has been designed to fit every pack format perfectly. 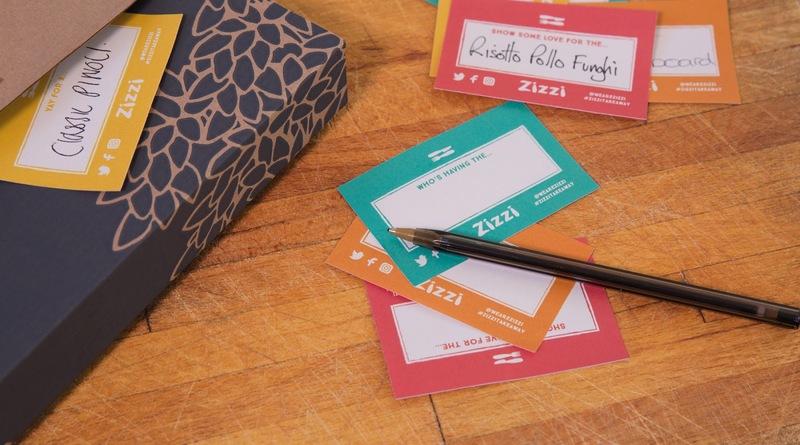 Additionally, the team designed brightly coloured stickers onto which Zizzi staff will handwrite the name of each dish, aiding identification and adding a personal touch by bringing the ‘personality’ of a waiter into the home.